The Acme No. 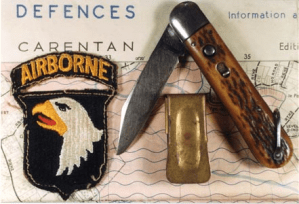 470 clicker “Airborne Cricket“; known to men of the U.S. 101st Airborne Division as the “cricket“ was originally designed as a time keeping device for band and orchestra leaders in the 1920’s. The original history behind the use of the paratrooper cricket is not know, however, it is possible that examples of the clicker came back to England with visiting U.S. Army bands and a member of the 101st airborne division saw its potential for an excellent signaling device for the hours of darkness. After the 101st Airborne started using crickets an order was placed with J Hudson and Co. and production was increased to meet the large order. 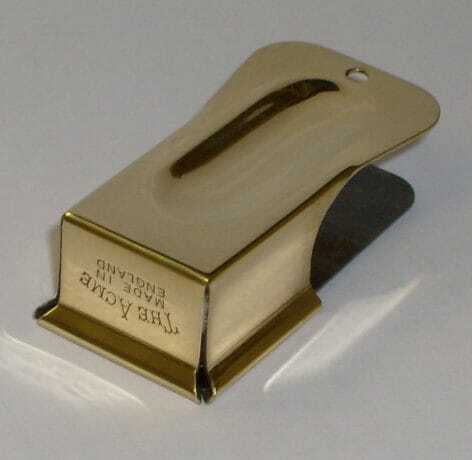 The paratrooper clickers were made in brass, nickel plated brass, and even tin which was used when brass sheet availability diminished. The crickets were used on D-Day (June 5th/6th 1944) when the 101st Airborne landed in Normandy during Operation Overlord and the intention was to discard the crickets thereafter. 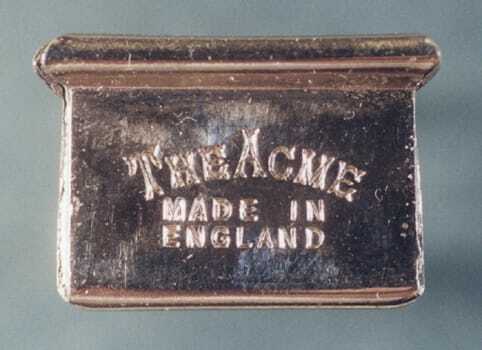 Many of the troops retained their crickets long after the war and have since become iconic symbols to the men of the U.S airborne and the memory of D-Day. Paratrooper crickets appeared in a couple well-known films including The Longest Day and the HBO series Band of Brothers as well as numerous documentaries. The Acme No. 470 clicker is being made again in England, as the originals were, using the same machinery and by the same company, J Hudson and Co. of Birmingham England. Unlike other “Crickets’ these are not a reproduction, but post war manufacture.